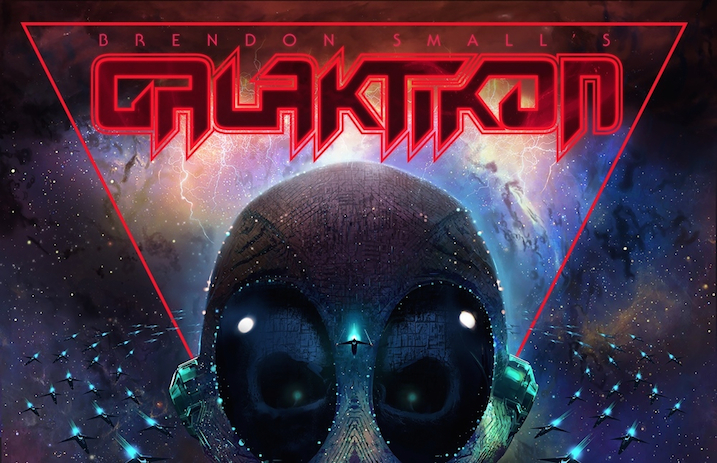 Brendon Small, creator of Dethklok, the virtual metal band from Adult Swim‘s Metalocalypse, is about to drop a new album from his space-age side project, Brendon Small’s Galaktikon. It’s called Galaktikon II: Become The Storm. The follow-up to Small’s first death-metal-in-space foray, 2012’s Galaktikon, Galaktikon II will enter our atmosphere on August 25 via Megaforce Records. As the mastermind behind Dethklok, Small previously released the studio albums The Dethalbum (2007), Dethalbum II (2009), Dethalbum III (2012) and The Doomstar Requiem – A Klok Opera Soundtrack (2013). Below, watch an intense 360-degree music teaser video for Small’s Galaktikon II: Become The Storm that premiered over at Nerdist on Wednesday.